An expected vote on a Senate bill aimed at reducing a suicide epidemic among military veterans was delayed Monday by a winter storm that walloped the Midwest and Northeast. The storm caused the cancellation of flights, classes and major court cases across the Northeast and dumped more than a foot-and-a-half of snow on the Chicago area. The Senate vote on the veterans' bill was rescheduled for Tuesday. 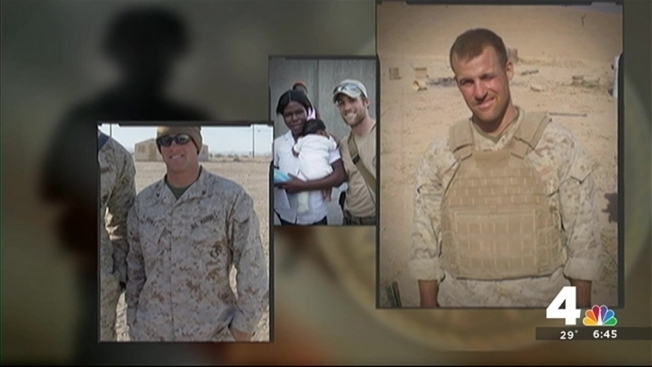 The measure is named for Clay Hunt, a 26-year-old veteran who killed himself in 2011. The bill is in response to suicides that on average claim the lives of 22 military veterans every day. The measure, which passed the House last month, would require the Pentagon and Veterans Affairs Department to submit to independent reviews of their suicide prevention programs and make information on suicide prevention more easily available to veterans. It also would offer financial incentives to psychiatrists and other mental health professionals who agree to work for the VA and help military members as they transition from active duty to veteran status. Sen. Johnny Isakson, R-Ga., chairman of the Senate Veterans' Affairs Committee, said he expects overwhelming approval of the bill, which passed the House unanimously and has the support of major veterans groups. "When you have 8,000 veterans a year committing suicide, then you have a serious problem," Isakson said, noting that more veterans have died by suicide in recent years than have died in battlefields in Iraq and Afghanistan. John Madigan, vice president of public policy at the American Foundation for Suicide Prevention, said passage of the bill would be a major victory not just for veterans but for the larger fight against suicide. Veterans account for 1 out of every 5 suicides in the United States. The group has set a goal of reducing the nation's suicide rate by 20 percent by 2025, "and it is legislation like the Clay Hunt Act that will make it happen," Madigan said. Supporters of the bill were frustrated late last year when the measure was blocked by then-Sen. Tom Coburn, R-Okla.
Coburn, who retired in January, said the bill duplicated existing programs. He also objected to the $22 million price tag. Isakson said the latest version of the bill orders the Veterans Affairs Department to find money for suicide-prevention programs within its $154 billion budget.